Whenever I visit my cafe for my daily fix I ALWAYS stop and stare at this chair (unless of course someone is sitting in it, in which case it’s just awkward). I’ve mentioned to the owner that if she ever sells them I want first dibs. 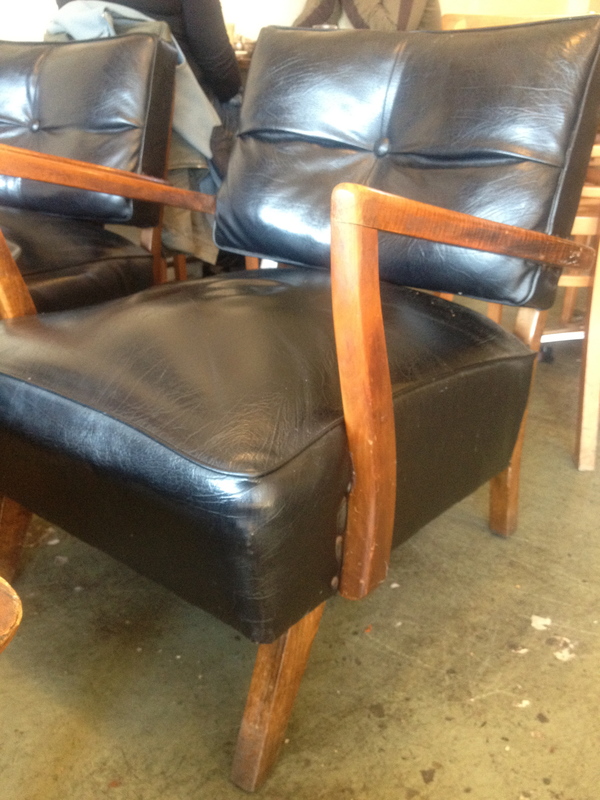 They’re leather and gorgeous and I think they’re Danish design of some sort.